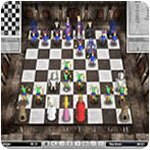 Chess Game Downloads - Play 9 Free Chess Games! 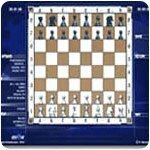 Chess - Computer versions of one of the world's most famous games. A great way to practice or compete! Rout the Opponent's King Through the Superiority of Your Own Intellect! Beginners and Experts - Radically Improve Your Game with Chessmaster Challenge! 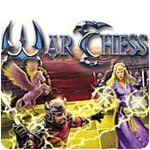 Classic chess play with animated chess piece battles and fantasy environments! 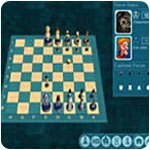 Set Up Your House Rules and Seek a Chess Challenger Online! Checkmate! Beginner or Expert, Sharpen your Skills with Brain Games Chess! 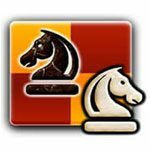 Good chess sim with great tutorials to learn chess! Play chess against the Chess Tal AI. Rout the opponent's king with your superior intellect! Learn & improve your chess game at every level! Excellent graphics and top notch computer AI. Simple gameplay and sharp graphics. Learn how to conquer the board in this dynamic version of chess! Play against up to 80 different opponents! Defeat your opponents and lead your army to victory! Each player begins the game with 8 pawns, 2 rooks, 2 knights, 2 bishops, a queen, and a king. One player’s pieces are black and the other’s are white. The pieces are initially positioned in front of the player in two rows. The second row from the player contains the pawns. The other pieces are arranged on the row nearest to the player. The center two squares hold the king and queen; the queen is placed on the square which matches the player’s color (thus the white queen is on a light-colored square and the black queen is on a dark-colored square). The bishops are placed in the empty squares next to the king and queen. The knights are placed on the empty squares next to the bishops. Finally, a rook is placed on each end of the row. Each type of piece has its own unique movement. A pawn may only move forward one square at a time (except for its first move, when it may advance by one or two squares). Rooks may move an unlimited number of squares vertically or horizontally; bishops may move an unlimited number of squares diagonally. The queen may move an unlimited number of squares in any direction. The king may move one square in any direction. The knight may be moved to any of the 8 nearest squares not on the same rank, file, or diagonal. Its movement is thus shaped like the letter “L”: two squares in one direction and then one square to the side. Only knights may “jump over” other pieces. Pieces must be moved to an empty square unless the player wishes to capture an opponent’s piece. In that case, he moves his piece into the square occupied by the piece to be captured and removes the latter from the board. All pieces capture in the same way that they move except the pawn, which may only capture by moving one square diagonally, never by moving forward. There are also certain special moves, such as castling, capturing a pawn “en passant,” and promoting a pawn to another piece. “Check” means that one player’s king is in a position such that it will be captured in the opponent’s next turn if it is not moved. The goal of chess is to force the opponent’s king into a situation in which it is in check, and also cannot move without going into check. This is called “checkmate” and concludes the game. There are also other possible endings to a game of chess, such as one player resigning, or both players agreeing to a draw. Chess evolved in medieval Europe out of earlier games from India and the Middle East. By the Renaissance, the rules of chess had taken the form by which they are known today, with a few minor exceptions. The game proved wildly popular, and many treatises were published on various aspects of the game. In 1851, the first modern international chess tournament was held in London. Ironically, it was not during this tournament but rather during a break that perhaps the most amazing game of all time, the “Immortal Game,” was played between Adolf Anderssen and Lionel Kieseritzky. Such chess tournaments continue to be popular to this day. The names of some of the most famous chess players, such as Garry Kasparov and Bobby Fischer, are as well known as those of major athletes. Meanwhile, average players also continue to find joy in chess. 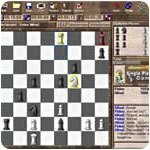 In recent times, chess video games have been developed. The “Chessmaster” series of games, now in its eleventh incarnation, has been consistently popular since 1986. There are also many websites which offer the ability to play chess online. As perhaps the most recognizable board game in the western world, chess appeals to a wide audience. Its relatively simple rules make it easy to learn, but the infinite variety of outcomes and the need to create a long-term strategy make it difficult to master. Patience, thoroughness, far-sightedness, and flexibility are among the qualities called for in chess players. Those who really like to think, want to take their time before making a move, and love complex strategy usually enjoy chess.